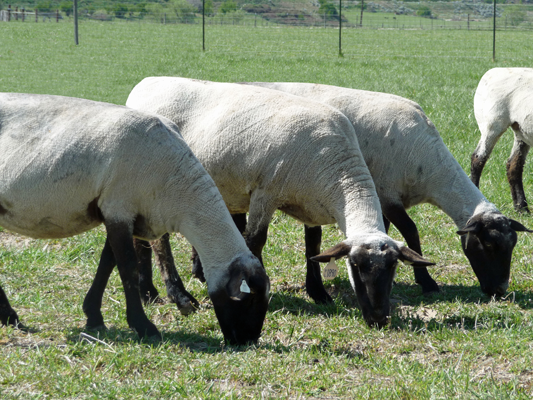 We select for productive ewes that are sound made, well balanced with ample rib and muscle. 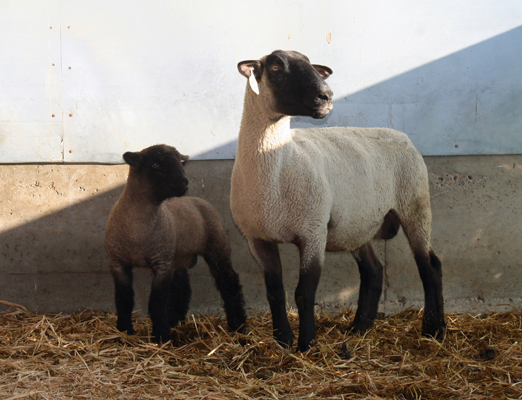 Our Suffolk/Hampshire cross ewes originated from Mike Stitzleins flock in Ohio during the late 2000’s. His program is unparalleled for producing winning show lambs. We have capitalized on these strong genetics and are building our flock with daughters and granddaughters of the best ewe families.